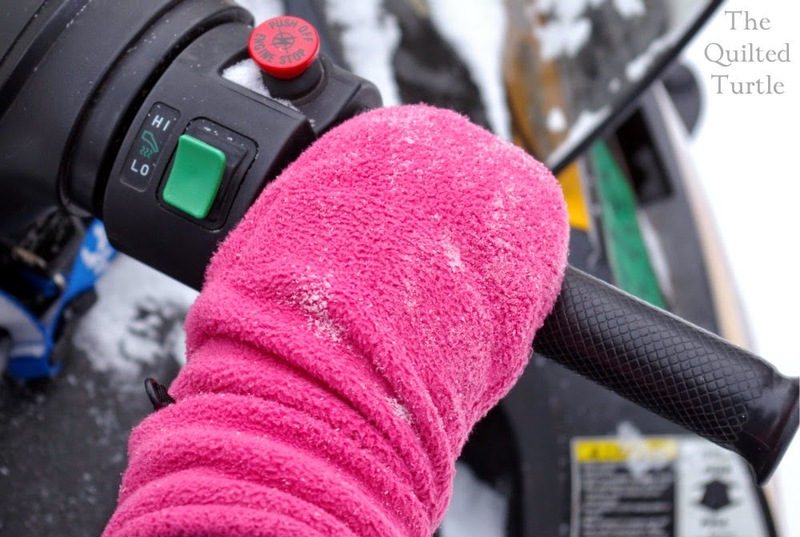 Every time we hop on the snowmobile after school my daughter says, "Can I drive?" Of course, if we were driving home in a car I'd have to say, "No." 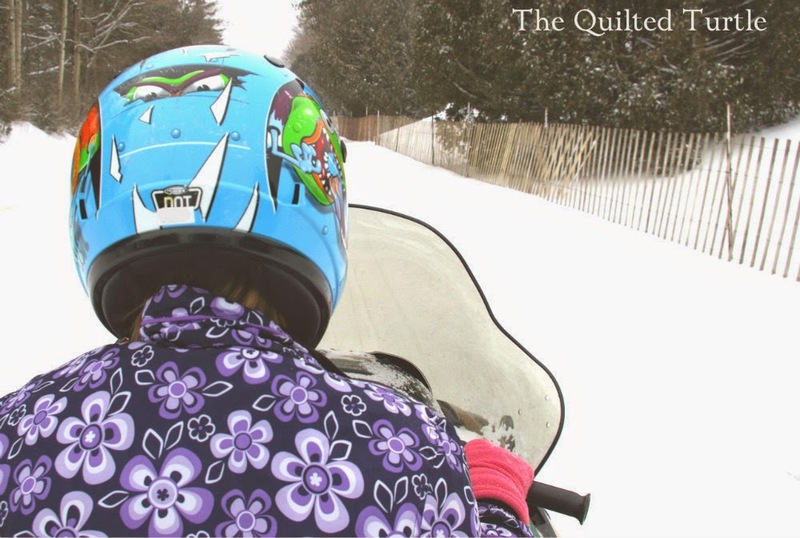 But, since kids in Michigan can legally drive a snowmobile "under the direct supervision of an adult," K drives us home pretty much every day. 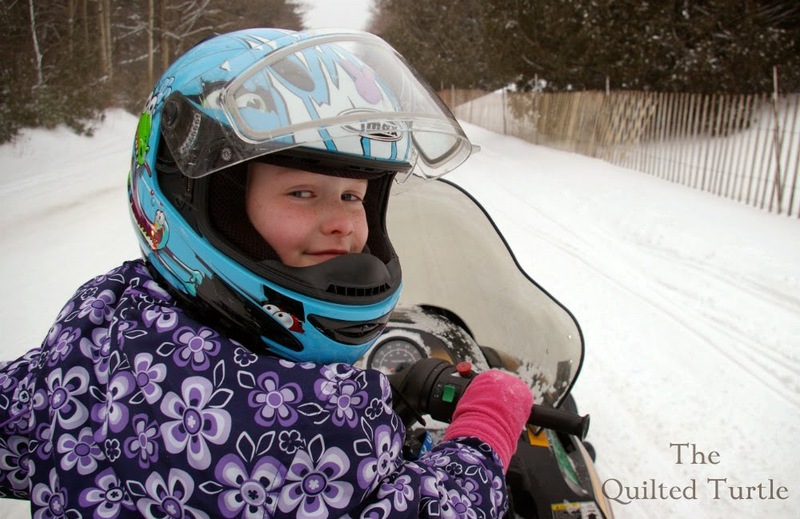 When she turns 12, if she passes a snowmobile safety course, she can get a license and drive without an adult. (Kid's can take the class right on the island, or they can take it online here.) The only problem is that K's 75 pounds (about 35 kg) of body weight is not nearly enough to turn the 500 pound (about 225 kg) machine. She does a great job on the straight roads, but I need to help every time we have to turn at a corner. While K loves to drive, my son has absolutely no interest. 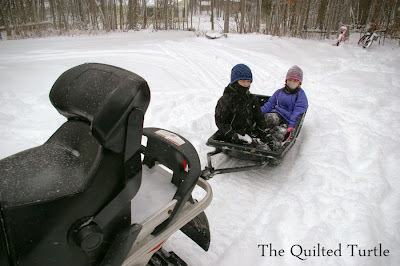 He's much happier getting a ride in the sled. Isn't it funny how some kids crave driving? My son is one, and only one more year to a learner's license! My oldest son (he's 18)...has never cared about driving. Anytime we say, "You wanna drive?" He's like, "No thanks." I mean, he does drive...but it means nothing to him and he'd really prefer just riding. Yet my 14 year old can't WAIT to take driver's training! Ha!